Have you been putting off creating your website because it all just seems too hard or too costly? Don’t have the budget just yet to engage a professional designer to do it for you? Or maybe you WANT to do it yourself, but you just don’t know where to start? step by step guides, videos and checklists to help you add your own unique brand and message and shout it from the rooftops! With the notes provided I found it easier to set up my website. I am more comfortable now using both the back end and front end for generating new pages, images etc. and adding or updating information. Sometimes I knew what I wanted to achieve but wasn’t sure of what widget to use or add. I always find Gaye very helpful and approachable to steer me in the right direction and answer any questions. I would highly recommend this program to anyone wanting to setup their own website but needing someone in the background as support. Gaye’s follow-up support far exceeded my expectations and has given me the confidence that I’ll be able to maintain the site with limited ongoing help. I would definitely recommend Gaye for a professional, friendly, efficient service with great outcomes. Nothing is too hard, if it’s not a straight forward request, Gaye will figure it out and come back to you with a solution. The Savvy DIY Website Program is available now! Click the button below to schedule a free 20 minute chat with me to find out if the program is right for you. The techie details taken care of so you can stop procrastinating because it’s all too confusing! Premium WordPress theme with an easy-to-use page builder so you can create your website exactly how you envisage it. The confidence to maintain and update your website so that it continues to grow as your business grows. BONUS website review prior to launch to make sure your website is set to deliver results! Includes five modules to step you through how to Plan, Design, Build, Launch, and Maintain your website. But you’re not on your own! As you work through the modules you will have access to support for any questions that arise, as well as the Savvy Website DIYer private Facebook group, where you can ask questions, share your work, and get feedback from your fellow Savvy DIYers. Final checks and optimisations before taking your new site live. Time to celebrate! How long will it take me to complete my new website? The program is designed to take around 6 to 7 weeks from start to launch. This will depend on how much time you have available, and how long it takes you to get your content together (this is the most time-consuming part!). Yes you will need to purchase a domain – I recommend either Digital Pacific or NetRegistry for domains, as they have good pricing and easy-to-use consoles for domain management. A .com domain should cost you around $15 per year, and a .com.au domain around $25 for two years. How much time will it take me each week to complete the program? This depends very much on each individual, but as a rough guide, around three to four hours per week should be sufficient, although you may need additional time to complete writing your content. The program includes three months’ access to the Savvy DIYers Club where you can get all your questions answered, ongoing tips and tutorials, and access to the private Savvy DIYers Facebook group. I can also be contacted via email, and I will do my best to get back to you within 24 hours on weekdays, either with a direct answer or with a short screencast video. You can also post questions in the private Facebook group, which I will endeavour to monitor at least once a day. Other program participants may also be able to help or provide feedback. I’m really not tech-savvy - will I be able to do this? All of the real techie stuff is taken care of for you – hosting; installation and configuration of WordPress, Divi theme, and essential plugins; plus creation of an initial five-page starter site. The tutorials will guide you through each step of customising the starter site with your own branding and content. The Divi theme is a simple drag and drop builder, which also includes a ‘visual’ front-end builder. As long as you take the time to view the tutorials and guides, and take it step-by-step, the process can quite easily be mastered by just about anyone. Do I need to arrange hosting and install WordPress? The program includes 12 months hosting with an Australian hosting provider. After the first year, hosting can be renewed for $180 per year or $15 per month. You are also free to move your site to another host if you so wish. WordPress is installed and configured as part of the initial starter site included in the program. How do I maintain my website after I’ve completed the program? Module five in the program will give you all the information and confidence you need to ensure your site is safe and secure going forward. If you already have a website and you wish to keep it up until your new site is ready to launch, I can arrange a ‘staging’ area for you to complete the program and help you to redirect your domain to the new site when you’re ready to launch. After you’ve made the decision to become a Savvy Website DIYer, I will send you a sign-up agreement and invoice. Once that’s taken care of, I will send you your login for the online program, where you can start familiarising yourself with the materials. There will be a couple of videos which provide an overview of the program as well as the starter site. The first module – Plan – will be available for you to jump into (after you’ve read/viewed the ‘start here’ guides!). In the meantime I will start preparing your starter site and once ready, you will receive an email with your login details. This will take up to three business days. What if I want to add something else like a shop? Additional functionality such as an online shop or integrations with other software are not included in the current version of the Savvy DIY Website Program. These will be added in the future as optional add-on modules. What if I find it all just too hard? If you’re really struggling to find the time or the patience to get it all done and would just like someone to get it done and dusted for you, this can be arranged for a reasonable fee, less the price you’ve already paid for the program. You’ll need to provide all of your content, including text and images, for all sections of the website. Just get in touch for further details. I really could just do this myself couldn’t I? Yes you sure could! You just need to arrange hosting, learn how to use cPanel (the hosting backend admin area), install WordPress (not difficult), purchase, install and configure your theme and plugins, then create your pages etc. from scratch. After the beta round of the program, it will be available as a stand-alone online course for you to do at your own pace, so that’s one option. Or if you’d like a hand just to get started, I am also available for a coaching session via Zoom. Get in touch if you’d like further details. What sort of things can I add to my website? Three months’ access to the Savvy DIYers Club, giving you full support for all of your questions about any of the course content while you create your fabulous new website! With the beta program now complete, and an official launch date set for October, get in while you can at the special Pre-Launch Price! Only $597 for the full program (value $1779)! I’m passionate about helping my customers to learn and grow through online technology. 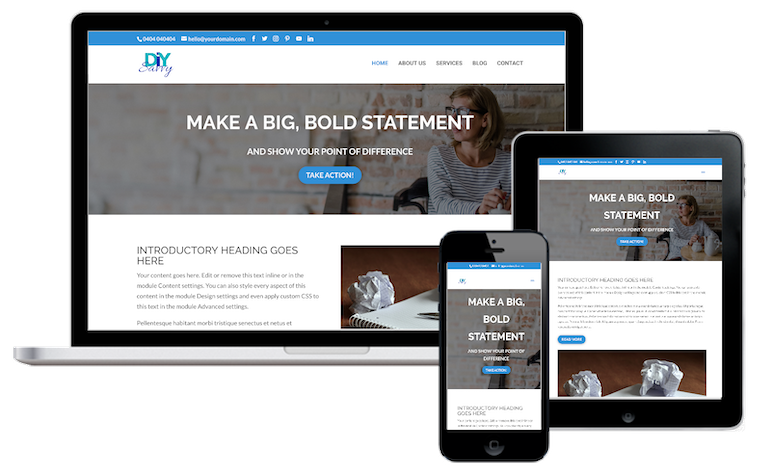 I’m the owner/operator of Simply Savvy Web Design + Strategy, which provides web solutions to small business owners so they can get found online. 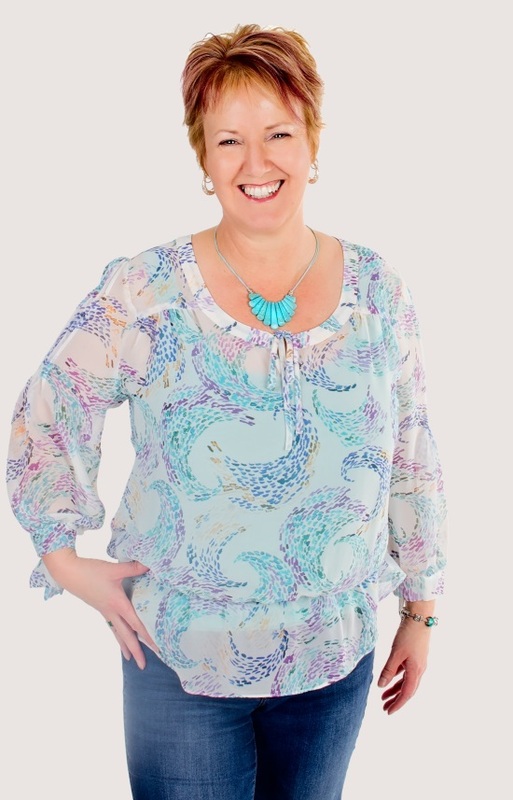 I started this business after 20-odd years in the IT industry when I decided I wanted to build a future for myself rather than be stuck working for someone else, and discovered I had a flair for web design and a passion for helping others grow their business too, using online technology. My favourite part of having a web solutions business is helping to bring my clients’ vision online, because it allows me to be creative and to solve challenges. Also, playing around with code can be a lot of fun!